Machine learning is a technology that’s now being widely used in the commercial space. When you shop on Amazon and see suggestions for related products, that’s machine learning in action. When Spotify offers you a weekly list of songs you might like, that’s machine learning too. Similarly, when Netflix suggests movies you might enjoy, that’s also machine learning. Our hypothesis is that we can leverage machine learning and natural language processing to make predictions for new messages based on how you have tagged, logged, and responded to letters in the past. As you receive more and more letters about various topics — from net neutrality to agricultural subsidies — the system will start to recognize these topics, automatically tag them, and recommend a specific response from your existing letter library. Eventually, this will eliminate the vast majority of manual sorting you currently perform. As a result, you’ll spend less time processing letters and more time understanding your constituents and writing new, meaningful responses. 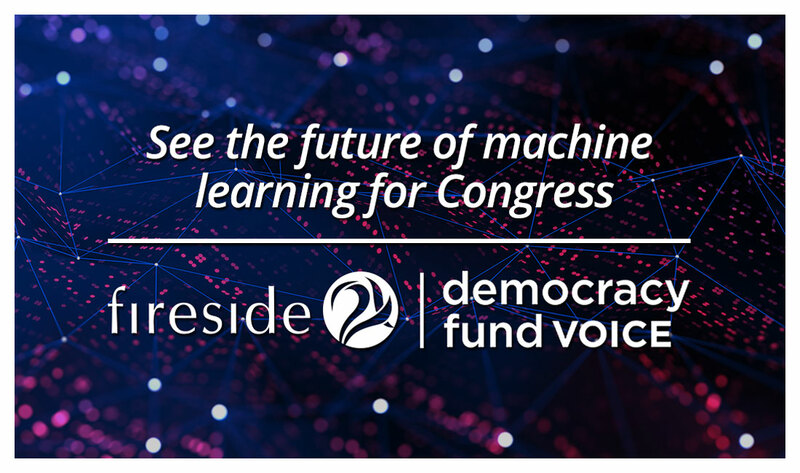 This grant also enables us to expand a key partnership that we started a couple of months ago with machine learning expert Joseph Nelson, who has already built a prototype machine learning CRM system for one Capitol Hill office and co-founded Represently with the mission to improve constituent and congressional communication through technology. Inspired by Nelson’s enthusiasm for bringing cutting-edge technology to the Hill, we brought him onto our team to lead our machine learning research efforts. With the Democracy Fund’s generous grant, we can now accelerate our efforts to bring the best in timesaving technology to hardworking Capitol Hill staffers. For now, I will leave you with the idea of a more effective system where the technology could work to automatically suggest responses while you log mail, so you don’t have to manually search for each form letter. Stay tuned for major updates . . .